[Lagos] 19 March 2018 - Google today announced the startups who will participate in the first Google Launchpad Accelerator Africa class, at an event held in Lagos. 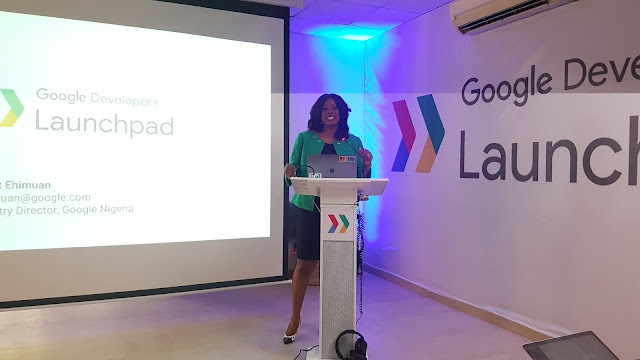 It also announced a partnership with Udacity and Andela to provide 15 000 single course scholarships and 500 nanodegree scholarships to aspiring and professional developers across Nigeria, Kenya and South Africa. Babymigo - Nigeria - a trusted social community for expecting mothers and young parents. Flexpay - Kenya - an automated and secured layaway e-commerce system. Kudi - Nigeria - payment for Africa through messaging. OkadaBooks - Nigeria - a social platform that allows users easily create, spread and sell their stories/books/documents in a matter of minutes. OMG Digital - Ghana - a media platform that produces hyper-local, engaging and entertaining content African millennials love to consume and share. Pezesha - Kenya - a scalable Peer to Peer microlending marketplace that allows Kenyans to loan to Kenyans, securely, via mobile money using big data and credit analytics. Piggybank.ng - Nigeria - allows Africans put aside little amounts of money periodically till they reach a savings target. Riby - Nigeria - a peer-to-peer banking platform for cooperatives and their members that allows them to save, borrow and invest, together. swiftVEE - South Africa - a platform for connecting livestock agencies to a network of buyers and sellers. TangoTv - Tanzania - a media streaming and video on demand service for African local content; films and shows. Teheca - Uganda - helps families and individuals find the right health care providers/workers in Uganda. Thrive Agric - Nigeria - crowdfunds investments for small holder farmers, and provide this to them in form of inputs, tech driven advisory and access to market.